SNAFU! : Modest Proposal. Bring back the S-3/ES-3 Vikings to make the carrier air wing great again! Modest Proposal. Bring back the S-3/ES-3 Vikings to make the carrier air wing great again! 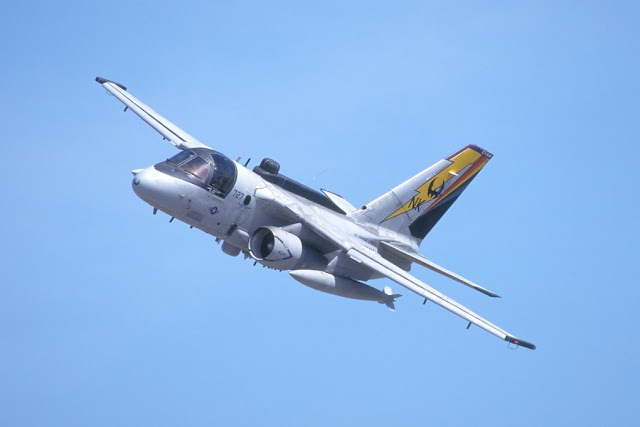 We've heard talk and studies about bringing back frigates from the boneyards to get the surface fleet back up to speed but what about naval aviation? There is a major gap in our capabilities and frigates will only cover a portion of the problem. We need dedicated electronic attack/surveillance platforms that can operate from the carrier and we need long range anti-sub planes that can do the same. The answer is gathering dust in the boneyards. The S-3/ES-3 Vikings have TONS of time left on them and can be quickly and easily brought back into service. One squadron per ship of each type along with a nice allotment of anti-ship/anti-sub weaponry with buddy refueling tanks to pick up the load when the UAV refuelers go down would save wing time for the Super Hornets, provide a much needed capability for the carriers and add a new option for everything from Electronic Attack, Electronic Surveillance, Anti-Ship Strike, Long Range Anti-Sub work, Bomb Truck duties in permissive environments and tanker duties when necessary. When the CMV-22 fails at the COD mission because its just too short legged we can even dust off the plans for this plane to fill that role. We have a jewel in the boneyards. Time to scrap off the dust and get it back in service!